SAN FRANCISCO, CA – ForeFront Power and State Center Community College District (SCCCD) in California announce the development of 7.5 megawatts (MW) of solar canopy systems across five campuses in Fresno, Clovis, Madera, and Reedley. This solar portfolio will support SCCCD’s mission to provide safe, inclusive, and supportive learning environments to students. The District will receive reliable renewable energy at a flat rate and expects to save up to $18 million in energy costs over twenty years. Over 11.5 million kilowatt-hours (kWh) of annual solar production will offset about 54 percent of their current usage. The swift execution of such a significant solar project portfolio after the transition to its new parent company, Mitsui & Co. Ltd., highlights ForeFront Power’s efficiency and expertise in developing new projects. These projects reflect the ForeFront Power team’s well-earned reputation for being the go-to source in the CA public sector for delivery of parking canopy systems that are properly financed, designed, built, and maintained. Through the Power Purchase Agreement with ForeFront Power, SCCCD will receive solar energy at no upfront cost or use of bond funds. SCCCD selected ForeFront Power as part of the School Project for Utility Rate Reduction’s (SPURR) Renewable Energy Aggregated Procurement (REAP) Program that allows schools, colleges, and public agencies in California to save time and money on their procurement and energy costs. 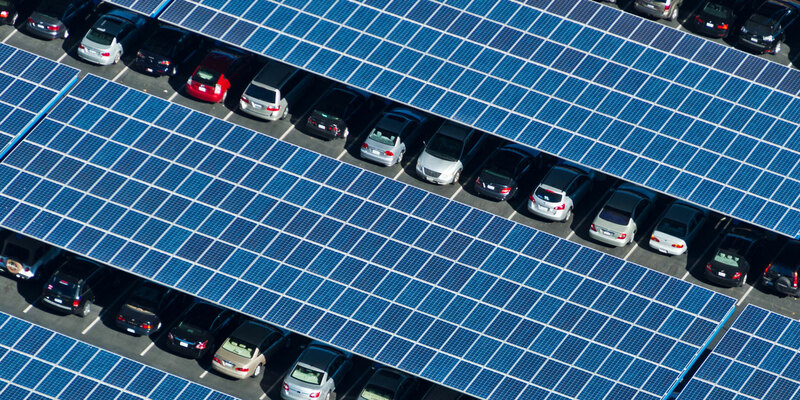 These five solar projects are expected to reach completion by the end of 2017. Their estimated annual generation represents the equivalent of 9,039 tons of carbon dioxide avoidance or 1,732 cars taken off the road for a year – per the EPA Greenhouse Gas Equivalencies Calculator. State Center Community College District (SCCCD) is a California Community Colleges System district in Central California. SCCCD includes three colleges and three centers: Fresno City College, Reedley College, and Clovis Community College, Madera and Oakhurst Community College Centers and the Career & Technology Center. SCCCD currently serves over 50,000 enrolled students across the Central Valley region. The ForeFront Power team has more than a decade of renewable industry experience, serving business, public sector, and wholesale power customers around the world. Our team has developed over 800 MW of capacity across more than 1,000 projects, targeted on assisting public sector agencies and C&I firms to deliver the most impactful behind-the-meter, off-site, and wholesale solutions. ForeFront Power is a wholly owned subsidiary of Mitsui & Co., Ltd., a global energy infrastructure and investment leader. ForeFront Power is a leading provider of solar energy services, serving business, public sector, utility, and residential customers. Combined with the global energy expertise of Mitsui & Co., Ltd., our team provides a reliable platform for continued project development excellence. Copyright © 2017, ForeFront Power, LLC.